Whenever I try to explain the kind of baking I want to do, it always comes back to bean pie. So, bean pie is where I will start. 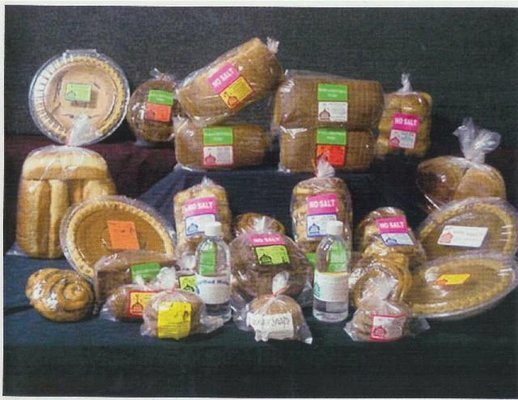 Bean pie seems to have Southern roots, but I know of it because I grew up not too far from a Your Black Muslim Bakery. I lived in Emeryville, California and at that time Emeryville was the raggedy jumble where the edges of Berkeley petered out but Oakland hadn’t quite picked up yet. We were the fringe, a slim section of San Pablo Ave. that was ratty but not necessarily dangerous. All the cars were junky and the houses had panache, which is what houses have when nothing matches and half your stuff comes from thrifting. Some of us were white, some Mexican, some black, but all of us were pretty broke and we all ambled along together, everyone pretty much minding their own business. That’s how it works on the fringe. The Black Muslim Bakery was not much further down San Pablo Avenue from where I lived on 64th Street and it was a funky, run-down, exotic place to a kid fresh from the humid, lightning-bug summers of Bucks County, Pennsylvania. It wasn’t much but a tiny storefront with a counter where you ordered. They only had about 10 different things, and none of them made much sense: prune cake, honey carrot muffins, tofu burgers, fish sandwiches. And bean pie. All of the baked goods were cool, but it was the bean pie which fascinated me. My mom would bring back a bag of stuff from their “day-old” section and there they would be, in clear plastic bags with twisty ties and ordinary white mailing labels where the branding should be. It looked like the kind of stuff you would buy at a bake sale if the bake sale were run by plain-looking, somber women dressed in faded single-color caftans and elaborately twisted cotton turbans to hide their hair. Later they jazzed up their packaging a bit (see photo below), but I remember them from back in the day. Those baked goods were the good stuff to me. I loved their strange, stark packaging, and the way the whole ingredient list could fit in the space where someone’s address should go: “flour, oil, eggs, honey, baking soda, cinnamon.” That’s all it took. That’s all they needed to make it work. So simple, so elemental, and so good. The simplicity in the design became the footprint of baking for me. Even from the day-old section we didn’t see those goodies too often and things got pretty crazy at that house in Emeryville sooner rather than later. It wasn’t too long before I was spending most of my time over in Albany, a 30 minute bus ride down San Pablo Avenue in the opposite direction. Albany — pretty, tidy, happy little Albany with the good schools and the nice librarians — was my ticket out of Emeryville, away from Oakland and Black Muslim bakeries, and bean pie. As I grew older I would make my way over to the Black Muslim Bakery every now and again, but it was always a strange sort of experience. It wasn’t my neighborhood anymore, and it wasn’t my mom bringing the stuff home in a paper bag. Even so, bean pie was always in the back of my mind. I always thought that they were the coolest kind of baked goods even though they were more of a memory than anything else. 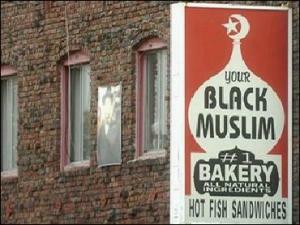 The Black Muslim Bakeries had some bad years, then some very bad years, and then in 2008 they went under completely and were under investigation for corruption, torture, assault, murder, and more. Part of this long, sad, scandalous, tangled web was in the papers within the last year, but that’s a story for another day. Wow, that’s really cool. I hadn’t heard of them — I’m totally going to check them out now! I have family outside of Philly so I see a side-trip in my future. As for CA, I can’t think of anyplace in Berkeley that has bean pies, but I did hear from a friend of mine that there is a shop selling bean pie in downtown L.A.! I def. want to check it out next time I am down there. Until then, I guess we’re both stuck making our own! What kind of crust did you decide on? And variations sound very intriguing!